From time to time, I help the Reedley Area Veterans for events such as the Reedley Fiesta that just passed. For those events, I help them to present our nations colors. Although my military bearing does not allow me to look at the people in the crowd while I am performing my duty, the silence as I approach followed by the crowd exploding in applause is almost enough to make this grown man have tears running down his face. This area has such a strong sense of community that it doesn’t matter whether or not a person feels that the war is justified, we support our own. Being away from this community has made me realize just how great it is. The fellowship, community, and caring that it bathes in daily—that is what makes this place my home. There is no greater sensation of pride to me than walking down the street and having a person that doesn’t know me walk up and thank me for my service. It is because of these people that I did serve. I chose to serve this nation to protect my home and those who I love; I chose to serve for the people of this community so that they might sleep better at night knowing that one of their sons is out there, somewhere, doing what needs to be done to keep our community safe from foreign threats. I am not alone in how I feel; hundreds of men and women from this area have either served before me, or are planning to serve after me. To each and every one of you, thank you. The willingness to give the ultimate sacrifice is something that not everybody possesses. I will gladly take a bullet for my friends, loved ones, and my community if it means that I can save just one other life. Many have already made such sacrifices, let us not let them be in vain. As I write this, I know that one of our own, Staff Sergeant Kendall Holm, is deployed from Ellsworth Air Force Base South Dakota. He is currently in an undisclosed location in Southwest Asia supporting Operation Enduring Freedom, Operation Iraqi Freedom, and Coalition Joint Task Force Horn of Africa. To Sergeant Holm, and the men and women of the 379th Air Expeditionary Wing, my thoughts and prayers are with you—come home safe, and Godspeed. Brian Kuykendall grew up in Reedley California where he attended schools in the Kings Canyon Unified School District & graduated from Reedley High School in 2000. During his time in the Air Force Brian was stationed at Ellsworth Air Force Base, South Dakota. From Ellsworth he was deployed three times, once to Guam in the South Pacific Ocean, and twice to an undisclosed location in southwest Asia. 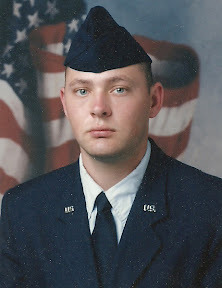 In April of 2010, Brian left active duty and returned home to Reedley. He is currently studying Business Management at University of Phoenix Central Valley campus.